House on the Hill is the manufacturer, and supplier to retailers, of hand poured and hand finished resin and wood composite cookie molds replicated from both historic and new hand carved wooden cookie molds. To purchase, please click the "WHERE TO BUY" tab to find retailers who sell our cookie molds. Happy Baking! Embellish cakes, sugar cookies and cupcakes with marzipan and fondant. Hang cookie molds on a wall or holiday tree. 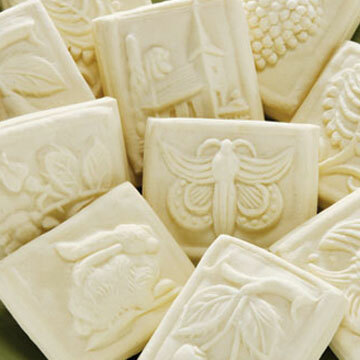 Display cookie molds on an easel or multiple molds in a frame. House on the Hill cookie molds allow all of us to bake beautiful cookies that are reminiscent of family, history, tradition and culture. Many of the original molds are “presses,” now in museums and private collections, were carved in clay, wood or metal.